$43.79 NOTE: Our shopping cart is disabled. We are using it to display affiliate items which if you click on PURCHASE in the PRODUCT INFORMATION by scrolling below or click on the Amazon banner the RRDi receives a small affiliate fee upon completion of your purchase. Mahalo. 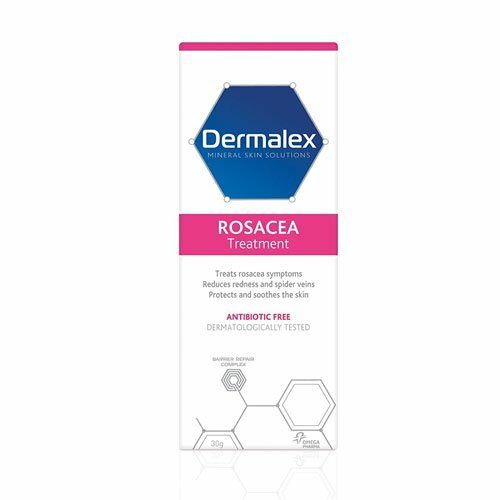 Dermalex Rosacea offers an antibiotic-free treatment cream that not only relieves your Rosacea symptoms, but also helps prevent new flare ups from occurring. An alternative to steroids. Unlike typical antibiotics creams that mainly tackle the inflammation, or make-up creams that mainly mask the redness, Dermalex Rosacea activates the skin's own repair mechanism: It restores the broken skin barrier, treating rosacea symptoms and It fortifies the skin barrier, providing protection from new flare ups. Contains Farmaka Rosacea Cream (FRC).